There are many nasty things out there that can play havoc with your sport quad. Dirt, sand, mud and water are all likely to destroy ATV engines and shocks. It seems the more money you spend on engine modifications and high-end shocks, the quicker these culprits will destroy them. This is where Outerwears can help. Can be cleaned & re-used, instructions included. Shock components take a beating. 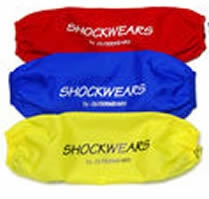 Shockwears are designed to reduce the wear and tear on parts such as the shafts and seals. 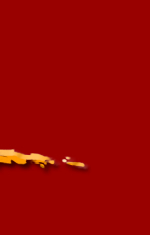 Sand and dirt act as sandpaper against the seals and the shock shaft. By reducing the amount of dirt and debris that wears down the shafts and seals, you will prolong the life of the shock and maintain peak performance. Outerwears, leader of off-road protective gear, introduces a line of ATV suspension covers for the casual ATV rider up to world class racer. 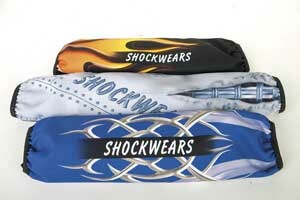 Protect expensive suspension components with Outerwears polyester shock covers. Outerwears effectively protect against damage caused by rock, mud, sand and roost. Outerwears are simple to install and are made specifically for a wide range of ATVs. The flexible material fits tight around any surface and is fastened with velcro.